The Rotary Club of North Charleston has been serving our community for over 70 years. We are probably best known for our Roundball Classic, the premier high school basketball tournament of the Lowcountry. This event provides a unique opportunity for our local players to compete against some of the top players in the nation and raises money for our Scholarship Fund. When we’re not in basketball mode, we are active in our community at the Lowcountry Food Bank, distributing dictionaries to third graders in North Charleston each year, listening to amazing speakers from our community each week, and helping out the community in many other ways as well. 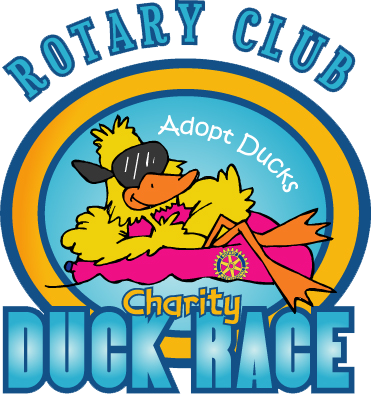 Our participation in the Duck Race allows us to raise funds to give back to the organizations with ties to our club. In the past few years, we have helped many organizations including Trident Literacy, Cannon Street YMCA, Parklands Foundation, Water Mission, Salvation Army, My Sister’s House, Military Magnet School, Lowcountry Autism Foundation, Coastal Crisis Chaplaincy, Respite Care, Patriots Point Naval and Maritime Museum Foundation, and many more!